Television numbers over the past week saw varying degrees of drops across the board among professional wrestling programming. Going up against the most-watched Monday Night Football game since October 2nd, Raw had a modest drop of 3.8% from the prior week’s number. The three-hour episode of Raw averaged 2,678,000 viewers on the USA Network. It was the least viewed episode of Raw since June 12th, which was a night they faced massive competition from the NBA playoffs with a Warriors vs. Cavaliers games that did 24.4 million viewers. The first hour of Raw featured an average of 2.88 million viewers, it dropped to 2.61 million in the second hour and fell to 2.57 million in the final hour with the main event of Braun Strowman vs. Kane. Tuesday night’s episode of SmackDown Live from Cincinnati was virtually identical to the week prior. This past week’s episode averaged 2,481,000 viewers on the USA Network. The show was down slightly from the 2,493,000 average the week prior. The first airing of NXT on cable television resulted in a modest showing of 841,000 watching the episode on the USA Network on Wednesday night. The show aired at 7 pm Eastern and was #22 for the night among the Top 50 original cable broadcasts. Wednesday night also featured Total Divas, which did 517,000 viewers on the E! network. It was their second lowest number of the current season and down from 562,000 viewers the week before. The big loser of the week was Impact Wrestling, which dropped a dramatic 28.8% from the prior week and averaged an all-time low of 161,000 viewers on POP TV. The show featured the crowning of a new Knockout’s champion with Laurel Van Ness defeating Rosemary in the main event after the title was vacated by Gail Kim. This number was lower than Thanksgiving night on November 23rd, which was a number no one paid close attention to due to the holiday. The only comparable number for Impact on POP TV was from an episode on June 14th of 2016, which featured technical difficulties all show long and still managed to average 210,000 viewers. An immediate replay of the show aired at 11 pm Eastern that night and did 117,000 viewers. Because of the technical problems and the show airing out of its regular timeslot, it’s wasn’t a number that anyone viewed as anything but an aberration due to the circumstances. 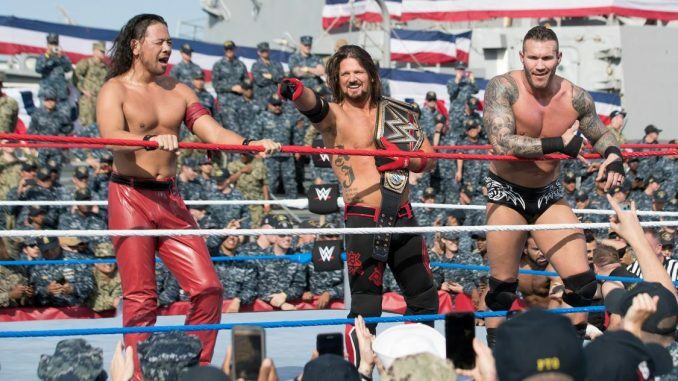 While Impact goes up against NFL football each Thursday night, it is more likely the key culprit for the number was competition from the WWE in the form of their annual “Tribute to the Troops” special on the USA Network. The taped two-hour special from the WWE averaged 1,401,000 going up against the entirety of Impact’s program.